Join the AWS Public Sector Summit in Bogotá, Colombia, and learn how the cloud is accelerating innovation for public sector organizations and businesses of all sizes. Learn about the AWS platform through breakout sessions that cover a wide range of topics, from new services and architectures, to performance and operations. You will also have the opportunity to hear from customers about their journey to the cloud. Whether you are just getting started on the cloud or a proficient user, join us and learn something new at the AWS Public Sector Summit Bogotá. President Márquez was born in Bogotá on August 1, 1976. He is a lawyer from Sergio Arboleda University, with majors in philosophy and humanities. He is an expert in economics, with executive studies at Harvard, and with masters degrees from Georgetown in Public Policy Management, and from American University in Economic Law. He has served as a columnist and professor. He was the head of the Culture, Creativity and Solidarity division of the Inter-American Development Bank (IDB), leading themes of social innovation, entrepreneurship, youth, and creative economy. He was a consultant to the IDB presidency and a principal advisor for Colombia. President Duque was born in Bogotá on August 1, 1976. He is a lawyer from Sergio Arboleda University, with majors in philosophy and humanities. He is an expert in economics, with executive studies at Harvard, and with masters degrees from Georgetown in Public Policy Management, and from American University in Economic Law. As Senator he took forward five laws of the Republic: the Orange Law, which promotes the creative industries and culture as a motor of development; the Law of layoffs, which allows the use of layoffs to prepay the education of children and dependents; the Law on Defibrillators, which requires the installation of rescuers in public places and in emergency transport in Colombia; the Law of 'Empresas B', which provides the conditions to create and develop commercial societies of Benefit and Collective Interest, and is co-author of the Law that extended maternity leave from 14 to 18 weeks. He is the author of the books IndignAcción, ideas for Colombia del Futuro; Monetary Sins; Machiavelli in Colombia; Orange Effect; The Future Is in the Center; Archeology of my Father; and is co-author, along with Felipe Buitrago, of the book La Economía Naranja. President Duque, in addition to his legislative activity, has distinguished himself in several areas of the country's political current affairs. He was the one who drafted, presented, and defended the lawsuit against the Legislative Act for Peace, before the Constitutional Court, which limited the fast track and allowed the Congress to make changes in the implementation of the agreements with the Farc. In 2016, he was chosen as one of the most outstanding leaders in the country by Semana Magazine and the Colombia Líder Foundation, and during his three years as a congressman he was elected as the best Senator by his own colleagues and by several local organizations that stand out and measure the work of Colombian legislators. President Duque is married to Mrs. María Juliana Ruiz, with whom he has three children: Luciana, Matías and Eloísa. 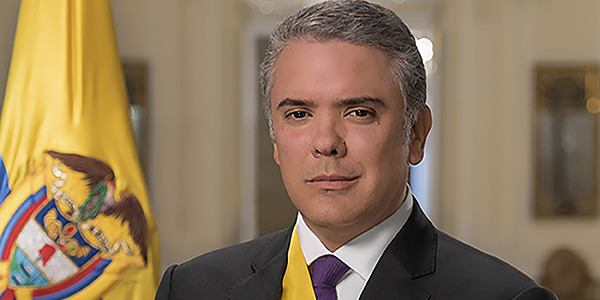 On June 17, 2018, Iván Duque was elected President of Colombia for the constitutional period 2018 - 2022, with 10'398.689 votes, with a government program based on Legality, Entrepreneurship and Equity. 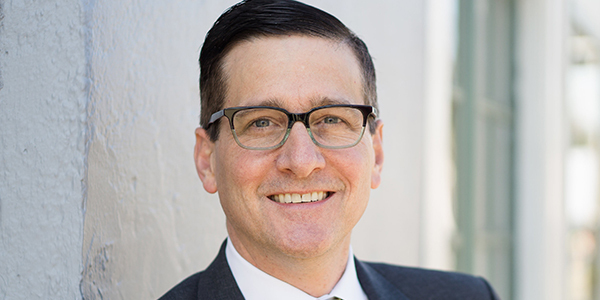 As General Manager of Latin America, Canada & Caribbean Regions for the Worldwide Public Sector at Amazon Web Services (AWS), Jeffrey Kratz is focused on advancing the adoption of cloud technology, specifically artificial intelligence, cybersecurity, machine learning, and the Internet of Things (IoT). With over 25 years of global technology leadership experience, he led the AWS Public Sector organization’s expansion into these regions. Jeffrey is often quoted in international press and speaks at public sector and economic industry events regarding global technology trends, channel ecosystem dynamics, and growth strategies. He previously held a variety of executive positions with Microsoft for 20 years, finishing his time with the company as the General Manager, Global Channel Sales, WW Public Sector. Throughout his career Jeffrey has been a catalyst to empower customers with advanced technologies to spark growth. He began his career working for Data Trek, Inc., a software start-up firm specializing in automation and information retrieval systems for corporate and public libraries. He holds a Bachelor of Arts degree in Political Science & Mathematics from Prinicipia College, located outside of St. Louis, Missouri, and completed graduate work at the Pepperdine University Graziado School of Business & Management. Besides his innovation-driven start-up mentality, Jeffrey is a former elected official in Seattle, and is currently an FAA commercial pilot. He is also a member of the United States Soccer Federation, Aircraft Owner’s & Pilot’s Association, and the Seaplane Pilot’s Association. When he is not flying exploring the Pacific Northwest backcountry, Jeffrey can be found kayaking through the Puget Sound and other local waters.